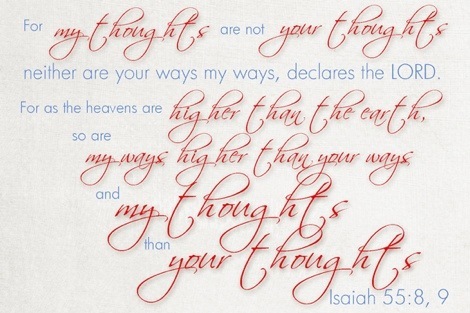 ~Isaiah 55:8,9 (NLT)“My thoughts are nothing like your thoughts,” says the Lord. “And my ways are far beyond anything you could imagine. For just as the heavens are higher than the earth, so my ways are higher than your ways and my thoughts higher than your thoughts. How quick we are to dismiss the little things He sometimes puts on our hearts to do. There are times when He asks me to be obedient to Him in an area, but because it might seem like something small or insignificant or boring and mundane…My first reaction is to want to shrug it off because it’s something so small. But let me tell you this… When God says to your heart that He’s preparing you for something…testing will come. If we aren’t willing to be obedient in the little things, then He won’t open the door for the bigger things. It’s in those little acts of obedience that He prepares our hearts to be able to take on the responsibilities and challenges that walking out our dreams will come with. He KNOWS what we can handle and what we can’t. He knows what we’re ready for. He knows. He knows what needs to change in our hearts. He knows what’s best for us. He knows us better then we know ourselves! This week wasn’t my best week. It wasn’t full of warm fuzzy’s and smooth moments. I’ve battled with trusting God with my sweet little 4 year old who is going off to school all on his own-without me there to protect him. It’s so easy to make it all about us isn’t it? After all…our feelings are real, our hurts are real, our dreams are real. But our reality can sometimes be a little clouded I think. 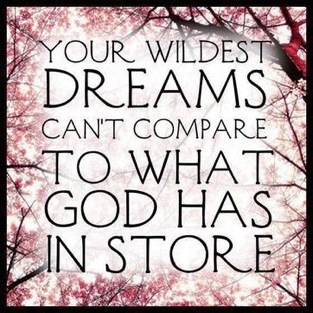 It can overtake and cloud God’s truth in our lives. The revelation that I received this week in the midst of all of my insecurities, doubts and ‘ouch, sorry Lord’ moments, is that it’s not supposed to be all about MY vision..it’s about HIS. My dreams, my desires, my, my, my – isn’t supposed to be the focus. So, I decided to ask God- What DO YOU WANT Lord? What can I do for YOU? What do You want me to do to receive the vision that YOU have? And this is what He spoke- plain and simple. So that’s it. Nothing to exciting! But nonetheless I said ‘yes’. I’ve started going to bed earlier then I normally would so that I could wake up more rested and ready to seek The Lord and hear from Him. It’s time to get the focus off of me and unto HIM. 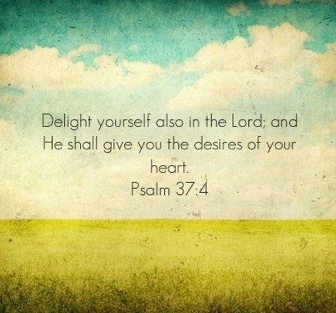 I’m excited to lay down my desires and pick up the desires that God has for me. I’m excited to just commune with Him and fall more in love with Him… I’m excited to continue on this journey with Him-I really wouldn’t have it any other way. I’m ready to receive #freshvision! Negativity is like a downward spiral, and if you don’t stop it right away, it picks up speed and just keeps going and going until somewhere…there’s a crash landing. Can I get an amen?? One small misunderstanding this week turned into a BIG deal blown out of proportion because I became offended and misunderstood one of my closest friends. Instead of taking any negative thoughts captive (as God’s word tells us to do) I let my mind wander in that offense. I allowed that offense to creep in and then that negative thought led to more and more and more negative thoughts until I was actually moping around the house causing the rest of my family to suffer. I became snappy, short with my words, and so on. By allowing this offense to remain in my heart, I was putting a wall up between God and myself. When you put up a wall on the inside, you’re not only blocking people out, you’re blocking out God…and that is something that I’ve walked through before and I vowed to never put up a wall that would not allow my Heavenly Father in ever again. Lesson learned: Don’t assume. Keep the lines of communication open within your relationships. Invite God into the situation!! Here are some scriptures that I came away with from all of this…. Friends, I’m not perfect and I do mess up. BUT, God is bigger then my mess up’s and He’s bigger then yours. He’s a God of second chances. He is a God that forgives. Although I’m not proud of my recent behavior, I’m sharing my lesson learned with you so that you to can know that we can and DO come away victorious even when we mess up if we can come humbly before God and ask Him to teach us, convict us, help us. Take your mess and allow God to turn it into a message. Don’t wallow in guilt, thank God for teaching you, get back up and live in His grace. My life was interrupted a couple of years ago…by sickness…And I’d just like to start off by telling you a little bit of back ground about my past and this illness. When I was 12 years old, (19 year ago- oh my! I had to calculate this twice- Really? 19 years? I feel old!) Ok- back to the story. I woke up one morning with a swollen eye….as the day went on, it became painful, turning into a headache. The swelling increased and so did the pain. That week I went to the eye doctor and he didn’t have a clue as to what it could be….About a week later, the swelling left, the pain left, and I was back to normal…. Fast forward a few months later…again it happened. Only this time it came back with a vengeance. Unbelievable pain, swelling of my eye…to the point that the eyelid was swollen shut. We went to specialists everywhere- month after month- for years- and still, back then, no doctors knew what it was. I was checked for tumors and all the CT scans and MRI’s would reveal was swelling of the muscle behind my eyes- The cause and treatment- unknown. I was hospitalized once with one of these flare up’s because it would last for up to 3 months at a time. Pain medications weren’t helping. Because of the pain, I could not eat or drink and when I did, I couldn’t keep it down. So, to stay hydrated, I spent time in a hospital room getting hydrated by IV. Fast forward some more time…FINALLY, we found a doctor that diagnosed it -Orbital Pseudo Tumor-(Not cancer…but acts as a tumor would) and it was treated with prednisone- Ever heard of it? At the time, I called it a miracle drug..but soon realized that the side effects were horrendous. The medication allowed me to function because it took my pain and the swelling away but along with it came weight gain, extreme mood swings, anxiety, routine bone scans – because the prednisone could eat away at bone matter…and so on….and on. The side effects endless and horrid. years later….. after being on prednisone for years, (12 to be exact) Beautiful sweet healing came….Jesus healed me. I had just recently come to know Jesus, and He healed me! 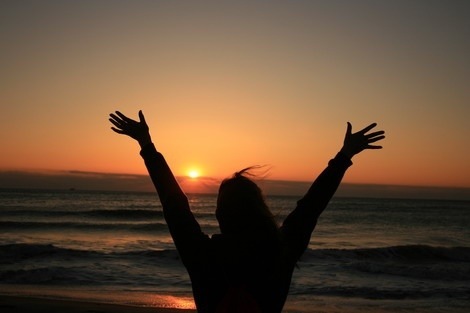 I was learning at that time to hear His voice..and every so often He impressed upon my heart to cut down another mg of my prednisone..until finally, I was no longer on it..and no longer sick….after YEARS, I was healed. A weight was lifted. I was forever grateful to Jesus for this miracle He had done in me. Years later…after the birth of my second child (6 years after my healing) ….it. came. back. When I got the first ‘twinges’ of pain in my eye, I started to pray and pray hard. I emailed all of my close friends, my pastor, his wife…and I asked them to pray. I was feeling confident! …(but deep down, I was feeling panicked and battling feelings of doubt and fear.. but not wanting to admit this to God.) This, I thought, was just an attack from the devil, and I tried so hard to be determined to win this battle..after all, we are victorious in Christ right???? The pain got worse…and worse…and in my mind…my healing was…GONE. I woke up in the night, with unbearable pain, there was no mistaking that even though I maybe didn’t lose my healing, the symptoms were real and they were back and I was broken. I was in so much pain…. I had prayed. Was my faith not strong enough? I spoke healing over my self- Did Jesus not hear me? Had I done something wrong to lose my healing? I cried. I had to go back on my prednisone- I had worked so hard to lose weight in the past and thoughts of all the weight coming back on was in my mind. The mood swings. The doctors warned me, the prednisone could cause increase in depression and anxiety when postpartum. My baby was only 2 months old. One evening, about a week later, I sat on the couch..feeling alone and broken- not because of my illness…but because I missed Jesus- so much. I hadn’t prayed. I hadn’t opened up my bible…nothing. I decided in that moment that I had to make a choice. I had to chose wether I was going to turn away from Jesus, OR walk with Him, forever, no matter what. And I chose to stay…. no matter what. Revelation came in that moment. He whispered to my heart “Be real with me. Don’t hide from me anymore. I can handle it. You don’t have to do it in your strength. You can’t do it in your strength”….. I was at a place in my life where I felt that I had to ‘have it all together’. I was trying so hard to be a perfect example for Christ in front of people-that it resulted in me trying to be perfect for God to. I was fearing that if I opened up to God about how I was really feeling about things- my struggles, my fears that I kept locked up to myself, that I would no longer have it all together on the outside. God had me where He wanted me. This sickness, this life interruption, brought me to a place where God could speak to me. He needed me vulnerable. He needed me quiet. He needed me to listen and slow down….He needed to break me in all the right places so that He could put me back together the way that He intended me to be. It was a new beginning for me…I started getting ‘real’ with my Heavenly Father…I accepted that I didn’t (and still don’t) have it all together. My life was interrupted….but it brought me closer to my sweet Jesus- so how can I ever be upset about that? I don’t know how many times I’ve beat myself up for being less then perfect. WHY did I yell at the kids? WHY did I get offended with my husband? WHY did I allow my feelings to take over? WHY can’t I get a grip and just do the right thing? WHY am I always messing up?…. I just got tired of beating myself up. I saw that it wasn’t doing any good..if anything, it was making things worse. My pity parties were lonely and definitely no fun. I still struggle at times with feelings of guilt. I have to be so aware of not falling into the trap of condemnation… And so I turn to Romans 8:1-2. I have it posted on my fridge, highlighted in my bible and writen on my heart…. YES! I’m FREE! YOU’RE FREE! God’s word says so! I’m not perfect…and that’s OK. You’re not perfect and that’s OK.
I’m learning to get back up quickly when I mess up. I’m learning to take it directly to God and get on my face and ask His forgiveness and then GET BACK UP and press into Him. Get out your post-it’s and write Romans 8:1-2 and then post it everywhere! Let’s allow God’s conviction to prompt us to make good changes and let’s refuse to allow condemnation to creep up and tear us down. You know, when you say yes to God…whether it be, ‘Yes, God, I surrender everything to You,’ or ‘Yes God, I will encourage my husband more’ or ‘Yes God, I will allow You to interrupt my content little life for You to have Your way over my way’….. Being awake with children at this time in the morning might not bother some, but you have to understand how much it bothers me. I like my routine. I like my babies to have routines – which include sleeping through the night!- When my routine gets messed with I go into ‘irritated’ mode. You see I’ve started this online bible study…”What happens when women Say Yes to God”…I’ve started saying YES to God and so opposition is coming my way. Opportunities to be offended, my nice little life being interrupted, and so on…. So what do you do when that happens? ~Trust God…let Him prune you. Run after Him, seek Him, get into His word…. I woke up this morning feeling unsettled…I asked God why and this is what He showed me…. so anyhooo, as I was working on my post, my husband was trying to talk to me about this new endeavor that we’re embarking on. Well… I’m confessing to you that at the moment I was so focused on getting my blog post done that I was only ‘half listening’ to what my husband was saying. I was nodding my head at all the right times, but missing bits and pieces of the conversation because I wasn’t focused on what he was talking to me about. Yikes…talk about disrespect! Talk about missing the mark! I was blogging about honoring my husband all the while my husband in that moment was trying to talk to me about something important- and I wasn’t giving him the full attention that I should have been giving him. What I should have done was stop, listen, and continue with my post later on. God has been impressing up on my heart to put my FAMILY BEFORE MINISTRY. Which, really, in a nut shell, means I’m supposed to be putting my family at the top of my priority list. (Before a blog post, before facebook, before my bible study…) God first, then my family and then everything else. God’s word says in Genesis 2:24 (ESV)Therefore a man shall leave his father and his mother and hold fast to his wife, and they shall become one flesh. When we put our families first, God will use us in mighty ways to bless others as well!!! I choose this day to get my priorities in order and ask the The Holy Spirit to come in and show me ways to bless and serve my family. I’m excited about this! I’m not only desiring to bless my husband and children, but I’m desiring to be obedient to God in all of this and bring glory to His name. I was so excited and so nervous. I was the happiest girl in the world with the vision of ‘happily every after’ in my mind and on my heart. It was my wedding day!! Dressed in my princess dress and ready to embark on my new adventure with my friend and life mate! It could NOT get any better then this …could it? Then God stopped me in my tacks- You said you would honor your husband. You said yes to me. If you won’t obey me in the small stuff, how will you obey me with the big stuff. And so I got out the shovel…and I picked up the dog poop that was spread across the yard. -It’s so funny how I can clean a child’s bum without gagging but dog poop just churns my stomach- and then I loaded my hands up with small bags filled with dirty diapers from the garage to bring outside to the garbage cans. I just wish I hadn’t argued with God before I decided to obey. Nothing He asks us to do should ever by questioned. EVER. Sometimes He’ll ask us to do BIG stuff, sometimes small. It’s doesn’t matter what it is that He asks. He commands us for a reason. In this case, He gave me a lesson on love-doing an act of service (one that I don’t particularly enjoy) to show love to my husband. I can’t even remember if Dave said thank you for the ‘poop removal service’ and you know what?…it doesn’t matter. God is teaching me to love on my hubby. It may seem like a small act of obedience…but it was one step of obedience that honored my marriage…. So like I was saying..He’s been giving me this message in a nut shell :”Don’t give up!. Yes, hearing His voice gave me the motivation to keep running..but more then that…He was telling me to keep going in my spiritual walk…when it get’s hard, keep going, don’t stop, don’t give up! GET DETERMINED. Because in the end…IT WILL BE SO WORTH IT! Can anyone relate? Do you ever just want to throw your hands up and give up? Do you ever get frustrated and feel beaten down? Well, let me encourage you! Jesus by your side every step of the way…through every high and every low…On every mountain top and every valley. If you’re walking (or should I say trudging through what feels like quicksand) it is just for a season…it may feel never ending…and it might feel like you’re running and you’re tired and you just want to go lay down and sleep and give up..but the end results my friends…will be breath taking! If I would have just stopped my run last night and went and sat down, I would have regretted it this morning…But I pushed through and it gave me energy, it gave me confidence and it lifted my mood! The same goes in our journey with Christ…when we push through and walk with Christ, we have a newfound confidence, a hope never ending! Hebrews 12:1 tells us this…Therefore, since we are surrounded by such a huge crowd of witnesses to the life of faith, let us strip off every weight that slows us down, especially the sin that so easily trips us up. And let us run with endurance the race God has set before us.